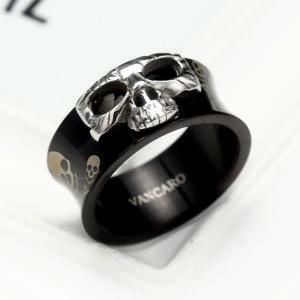 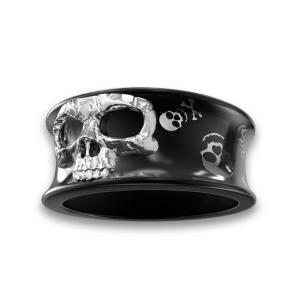 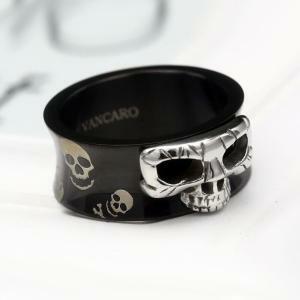 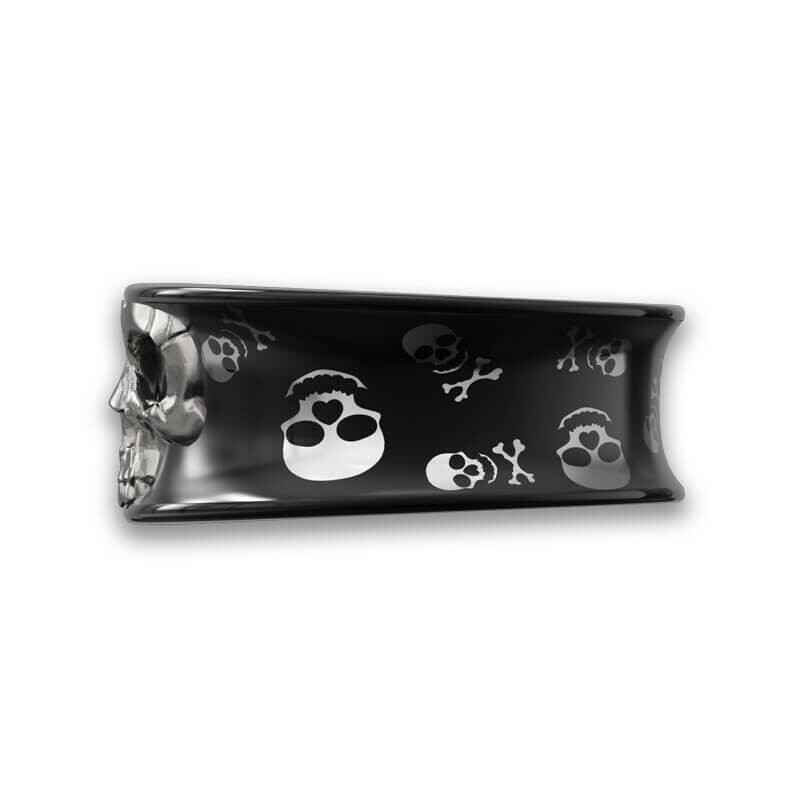 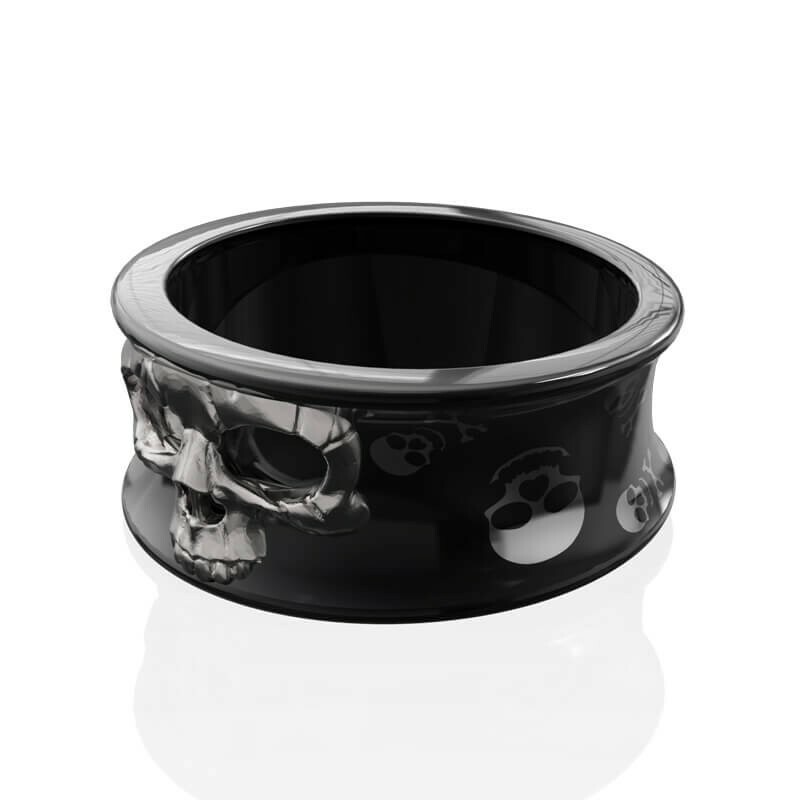 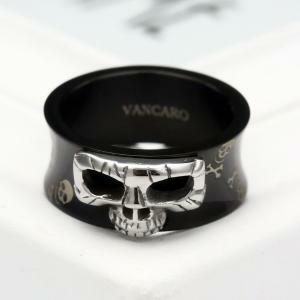 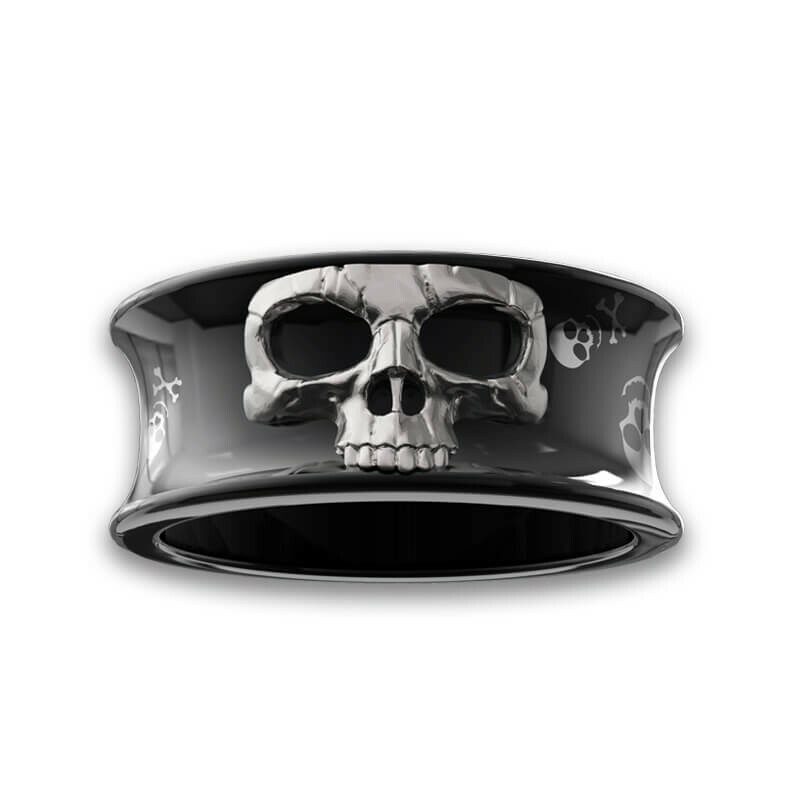 The band is inspired by skull symbolized immortal life. 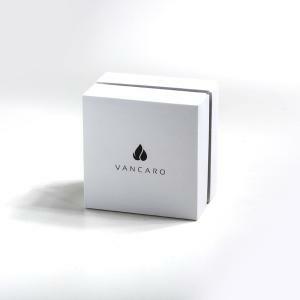 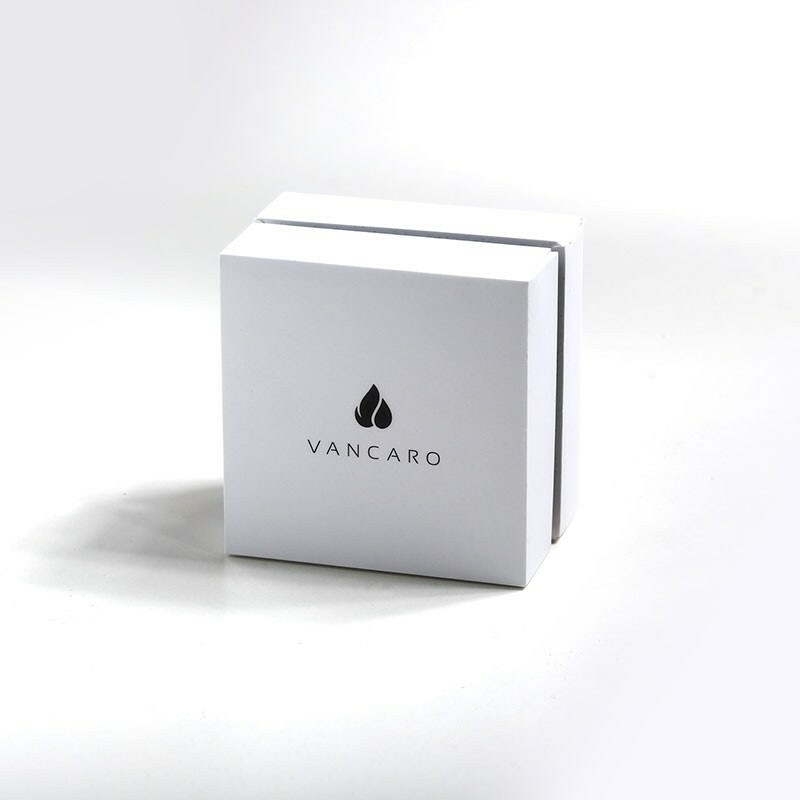 Skull represent death but also represents a new start.Blend it with modern design, the jewelry is created for those who seek a simple style and appreciate long-lasting craftsmanship. 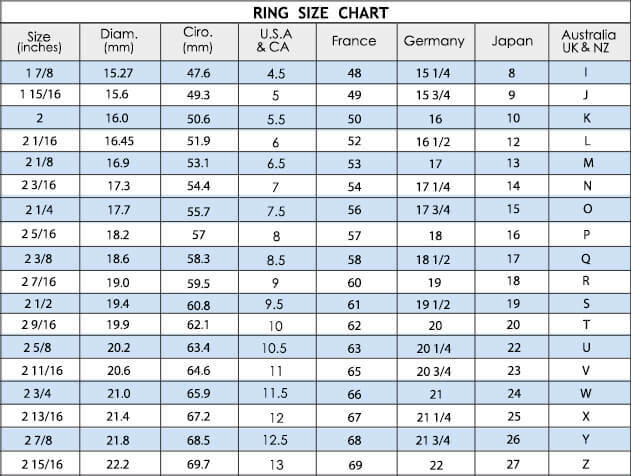 Using 316L titanium steel ring body, resistance to abrasion, not rust, do not change color, not deformation, never fade. 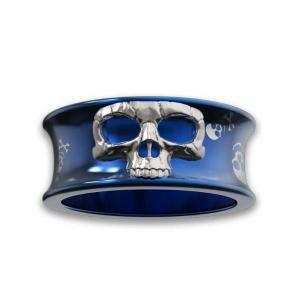 Plated with a layer of blue color, there are skull patterns on the ring wall, which seems like the skull tattoo that represents the oath. 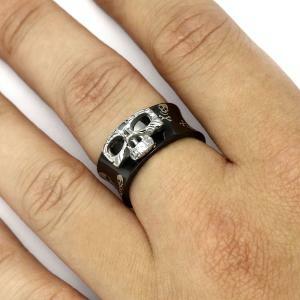 Skull patterns are popular among new generations of young people, who prefers reverse thinking, or to play a role that others do not like, and that's probably rebellious. 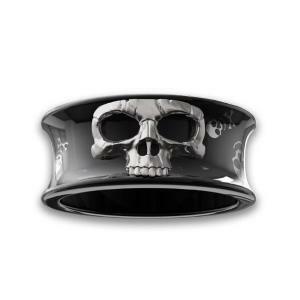 Couples skull tattoo, can be said to be a lifetime oath, born together, dead together, even to the moon and back again. These couple rings were designed for young couples who like skulls.